This award is bestowed upon those special members who have made noteworthy, significant contributions to the development of the Federation, and who are deemed worthy of Life Membership recognition. 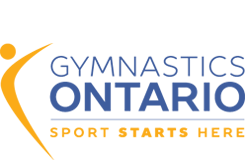 Members eligible for nomination would include provincial officers, committee members, coaches, judges, and other officials who have performed specific outstanding, long-term continuous service to the Sport of Gymnastics in Ontario, for a minimum of 25 years. *Gymnastics Ontario fondly remembers Life Members who are no longer with us.